One of the biggest ways to save money in your budget is by reusing items that you might normally throw away. A lot and I do mean a lot of the items that we throw away on a daily basis can be reused at least one time. in fact, many of them can be reused several times saving you money over and over again. You might think that finding things to reuse won’t really save you a lot, but if you give it a year, I guarantee you’ll be surprised; pleasantly surprised at that. When I first began finding things to reuse and working toward ways to go zero waste to save money, I was shocked. In just one year, we saved $1200! That is in addition to the money we saved when we made a list of things to stop buying and make homemade since most of the containers we used were reused items like the ones in this post! 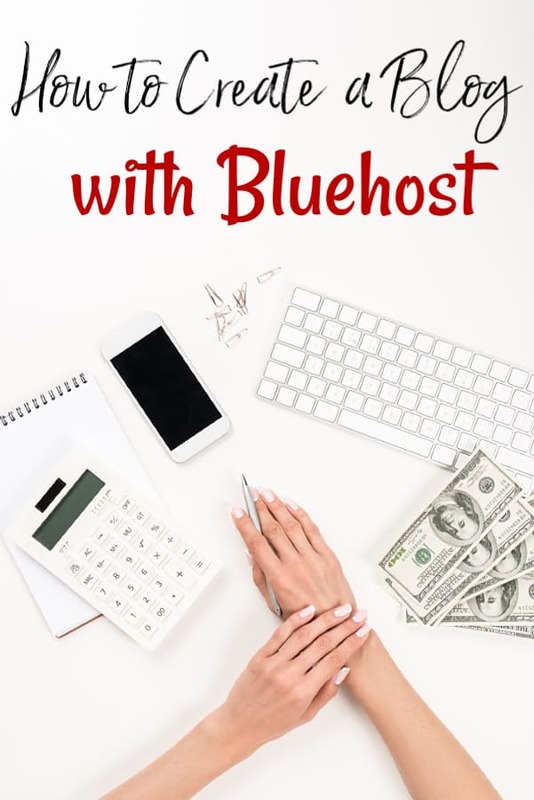 If you are currently trying to stop living paycheck to paycheck, you know that when you first start trying to but back on your expenses, it is hard. I’m not going to sit here and lie to you by telling you that it isn’t. The simple truth is that you will keep throwing items away even after you’ve decided to reuse them. You will continue to buy new products instead of using what you have although there are certain things you should never buy new – at least at first. We all do. Why? Honestly, I think it’s because we all simply forget. You have to build the habit of reusing things and that will take time. That is totally okay though. No one ever said that living frugally and stretching your paychecks was easy and if they did; they were lying to you. Living frugally can actually be quite hard at times. Luckily though, reusing items to get the most out of them is one of the easiest ways to save which means it will be easier for you to remember. These 52 things to reuse will all save you quite a bit of money over time. There are thousands of things in your life and home you can reuse, so why does this list of things to reuse stop at only 52? There are 52 weeks in a year so if you add one each week and work on building the habit for only that one each week, you will be reusing them all within a year. Tea Bags – I don’t know a single person who doesn’t love an ice cold glass of sweet tea, but if you’re like me; you go through a lot of tea bags. They can be reused 2-3 times without becoming so weak you can’t use them. This is especially true if you’re using an iced tea maker. Even once you can no longer use them to make tea, most tea bags are able to be composted completely. Coffee Grounds – One of my favorite things to reuse are coffee grounds. Coffee grounds, like tea bags can be used at least a second time. I wouldn’t recommend leaving them sit long because they won’t keep for long, but if you’re planning on making a couple of pots during the same day, just reuse the grounds. You may need to top them off with fresh grounds to keep the strength the way you like it, but you’ll still save a few bucks. If you aren’t making extra coffee, you can still reuse them. They are a great addition to your garden or compost or you could make an awesome homemade coffee scrub to help wake you up in the morning. Coffee Filters – If you don’t use a single use coffee maker like the Keurig I use, know that there are quite a few ways to use coffee filters aside from just making coffee. Used ones can be composted to help your garden grow strong. Unused ones can be used for everything from DIY Fabric Softener Sheets to a kids art project! Bread Crusts or the bread heels – Kids don’t like crust on their sandwiches? Don’t toss them! Don’t like the heel of the loaf? (I don’t blame you.) Don’t throw those away either! Use them to make homemade croutons or let them dry out then run through your food processor for homemade bread crumbs! Fabric Softener Sheets – Do you realize how many times your fabric softener sheets can be used? Use them in your laundry a couple of extra time or take the ones from your dryer and use them elsewhere. They work fantastic as trash can fresheners, to get lint off of glass and more. Another savings tip for them: Cut them in half before you use them. They will work every bit as well and you will get twice as many out of one box. This is one of my favorite things to reuse because most people don’t even realize how much fragrance and static remover is in one sheet. Clean Water that Flows Down Your Drain – How many times a day do your sinks get turned on and clean, usable water goes down the drain? That is your money going down the drain if you pay for a water bill. Instead, put a bucket under the sink and collect your grey water to be used elsewhere. Be careful with this one though. Do not add water that has any soap residue or any other chemicals in it to your plants. It isn’t safe for them or your family if you eat those plants. Clean water only. Old Clothing – This one is an oldie for sure, but in my opinion it is one that is often overlooked. It also happens to be one of my favorite things to reuse. Old clothing that no longer fits is good for more than just donating. Instead, use it to help you save. Turn them into rags for cleaning so you don’t have to buy them. 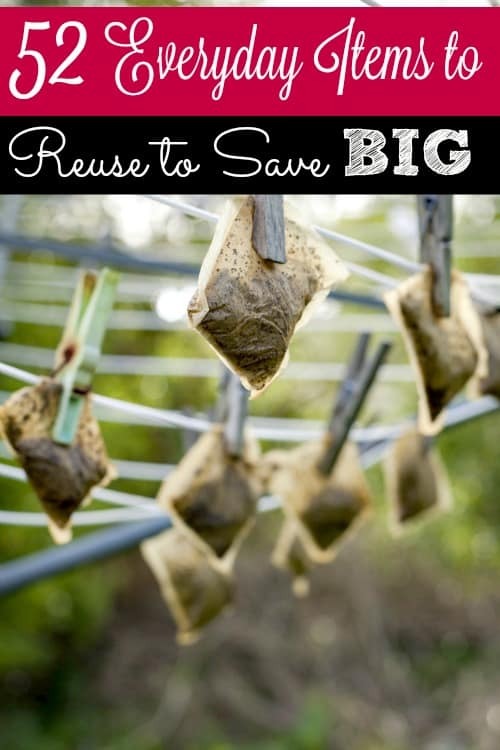 Use them to make your own reusable fabric softener sheets. Cut them into fabric scraps if you sew so that you don’t have to purchase it. Stuff them with filling and use them to block drafts in your home. Sew t-shirts together and make a quilt. Cut scraps of fabric and make an upcycled scarf. We love using old pairs of jeans to make a DIY dog rope toy for our pups! We even use old jeans and tees to make yarn for crocheting with! The possibilities truly are endless when you think about it. Buttons – Buttons are great for more than clothing. Save them from clothing you’ll no longer wear or that no longer fits and use them as craft supplies for crafts like this American Flag button craft, to make earrings, necklaces or jewelry or for well..what they were intended for. Either way, you’ll save money by not buying them for whatever reason you might need them. Cracker or bread crumbs at the bottom of the package – This one is for those that want to take their savings to as tight as they can get. Those crumbs at the bottom of your cracker package or bread bag? Save them in an airtight container to use in a meatloaf recipe or any other recipes that call for breadcrumbs. Egg Shells – Egg shells won’t save you a ton, but they can save you a little bit of cash in your garden. Crush them up and use them to help make an organic compost that will help your garden grow lush and full. If you make homemade dog food, you can also add crushed egg shells to your recipe to add calcium for your dog. Sunday Comics or other bright and cheery newspapers/magazines – Need to come up with some very frugal gift wrap ideas? Save your paper grocery bags or the Sunday comics. They both make awesome gift wraps and will save you from having to buy rolls and rolls! Empty Glass Jars with lids – Need new canisters? How about something to store your homemade cleaning supplies in? Use what you already have instead of buying new. Food safe jars with lids fill our homes and we just toss them. Reuse them and you’ll save big on having to buy expensive ones! Toilet paper and paper towel tubes – If you’re looking to get your home organized, one of the areas you might be looking to tackle is the mess of electronic cords we all have. Sure you could pay for expensive cord organizers, but why? Instead, save a few toilet paper or paper towel rolls and use them to organize your cords. You’ll save money and still be able to organize your home. Bread Ties – Bread ties can be used for a lot of different purposes including helping to keep those messy cords organized. Before you buy something to hold an item together, see if a bread tie will work. Old and junk mail envelopes – We all have those moments when we need a quick piece of scrap paper. Instead of using notebooks or special shopping lists, save your junk mail envelopes. They will work just as well and you won’t be paying for paper. After all, if you’re going to get junk in the mail, why not put it to work for you? Coupon clipping paper scraps – Do you print coupons? If so, I’m sure you often find yourself with scraps and scraps of paper. You can use these scraps to save on kids drawing paper. Cut the scrap even and put them in a small box to let the kids grab when they want to draw. You won’t be paying for drawing paper and the clipping scraps will get put to use. Broken Crayons – Broken crayons may seem like they’re unusable but they actually are very usable. You can use them to make recycled crayons! You just need broken crayons and a muffin tin! Another great use is to melt the wax down and add a candle wick. You now have a very colorful homemade candle! Pickle juice – Pickle juice actually has some health benefits but it can also help you save money. How? Slice up a cucumber and drop the slices into the pickle juice. Congrats. You just made refrigerator pickles and don’t have to buy another jar! Old Christmas cards – We all have old Christmas cards lying around that we never sent or that we received. Why not cut out the pretty parts and use them to make homemade gift tags? You’ll save money by not having to buy them and you’ll be re-purposing an old item for a new use! Baking soda fridge boxes – Those boxes of baking soda that you use to keep your fridge fresh can be used for more than just a fresh fridge. Once you’re ready to change it, open the box to get the baking soda out. Use it to clean your home, in homemade laundry detergent, freshen a kitty box or trash can or to freshen your sinks. Baking soda has so many uses and the only thing you won’t want to do with those boxes is cook or bake with it. Butter Bowls – Do you remember your grandparents, perhaps your parents, using margarine bowls to store food instead of expensive food storage bowls? There is a reason. Those big 3# tubs are fridge and freezer safe making them perfect for storing leftovers, freezer meals and more. They can help save you money over buying expensive food storage bowls. Another awesome use that my Aunt still does is save them for send home bowls. When you host a big dinner, us e them instead of your expensive stuff to send leftovers home with your friends and family. Used Printer Cartridges – Don’t toss your used printer cartridges! Save them up and turn them in at a store like Staples! You’ll get a very nice coupon in return which can help you save on things like toilet paper and school supplies! If you don’t want to do that, buy an ink refill kit and reuse them over and over again! Ratty towels – There are so many new uses for old towels that ratty and ripped towels are so much more than trash and can help you save big over time. Cut them into scraps and use them to fill sewing projects, for making homemade cleaning rags, homemade dryer sheets and more! You could even put them in a dog bed to help keep your pup more comfy and warm! Bubble wrap – The next time you get bubble wrap in a package? Save it! Not only can you use it to save on your own shipping supplies, but it is FANTASTIC for insulating your windows with to help keep very costly air leaks from happening. Put it against your windows then cover with plastic visqueen. You’ll be amazed at how much this can save you on your heating and cooling bills! Ziploc Bags – Stop tossing your used Ziploc bags. They’re expensive and in most cases can be reused at least twice. Instead, rinse them well and dry to reuse. One catch though is that you should NEVER reuse a Ziploc bag that has held meat. The risks of illness simply aren’t worth it. Cereal Bags – Along the same lines of Ziploc bags is those plastic bags that your cereal comes in. Rinse them well and dry fully then use as a layer of protection for meat in the freezer, to wrap sandwiches in for lunches or travel, to store small items in and more. If you have a vacuum sealer, you could even try resealing them, however I’ve never done it so I’m not 100% sure how well it would work. Leftover holiday candy – Leftover Halloween candy is awesome for more than just expanding you thighs. Separate it out and use it at Christmas to decorate Christmas cookies, gingerbread houses and more! Ketchup bottles – Empty ketchup bottles (or any squeezable condiment bottle really) can save you not just time but money. Refill them with homemade versions of the condiment or use them as a squirt bottle for other foods such as pancake batter. Old Blankets – Don’t toss those old thin and ripped blankets. Use them to line pet beds, to insulate windows, for moving to protect your items and more. You could even cut the usable parts of them into squares and make an entirely new blanket out of them! I’m personally of the opinion that you should store extra blankets anyhow so making your own from old ones is one of my favorite ways to resuse things! Aluminum Foil – Just like Ziploc bags, foil can generally be reused an extra time. Just rinse it well and dry then fold into a square. Have foil that can’t be reused? Before you toss or recycle it, give it a couple of cuts with your scissors. It will sharpen them easily. You can also crumple it up and toss it in the dryer. Believe it or not, it works like a dryer sheet! Plastic Silverware – Did you buy plastic silverware? If so, wash it and reuse it! They can generally be reused several times before they break! If you have several events, you could even wash and dry them then put them in storage to be reused over and over again. Obviously, they’re plastic. Don’t put them in the dishwasher. Foil Baking Dishes – I love using these baking pans for when I freezer cook, but they can be kind of expensive. So to cut down on the cost, I reuse them. They wash just fine as long as your careful and it cuts my cost considerably. The lids however aren’t too easy to reuse so I use those instead to sharpen my kitchen knives and scissors then recycle. Cereal and other dry food boxes – Cereal and other dry food boxes are great for making homemade organizers. Skip the Ikea desk organizer and use scrapbook paper, washi tape and other embellishments to make your own DIY menu holders and more! They’re great for helping you stay organized throughout your entire home! Apple peel scraps – I know that apple scraps might not seem like they can save you, but they can! Use them to make apple scrap jelly or to make your own homemade apple cider vinegar! Organic ACV is really expensive so that alone makes it worth it! Orange Peels – Along the same lines as apple scraps, orange peels can help you save too. They can be tossed into a pot of boiling water for a fragrant home or sealed in a jar with white vinegar to create your own homemade orange cleaner. Dry them along with other fragrant fruit peels and you’ll have homemade potpourri that smells much better than anything you could ever buy. You can also reuse orange peels by making homemade orange peel fire starters, orange oil cleaner and orange peel candles. Even candied orange peels! Seeds from fruits and vegetables – When you dice and slice fruits and veggies, what do you do with the seeds? Toss them? Instead, dry them out and save them. You’ll be able to use them for a flourishing garden next year. Some of them such as pumpkin seeds can actually be roasted and ate as a quick and healthy snack too so keep that in mind as well. Celery – Did you know you can grow celery from scraps? Sure can and it’s super easy! You’ll literally never have to buy it again! Pineapple tops – Pineapple like celery can be grow from the cap too! Just lop off the top, plant and water! Carrot tops – Another veggie that you can grow from the caps! Cut the tops off leaving enough of the carrot to transplant. Plant down into potting soil and keep watered. Soon you’ll have carrots that you can regrow time and time again! There are so many foods that regrow from scraps that you’ll wonder why you’ve been buying them this long! Thick plastic sheeting – Have you ever bought a big ticket item? I’m sure we all have. Instead of just ripping off that thick plastic sheeting that they come wrapped in, save it and use it to insulate your windows, save on your own shipping supplies, make a slip and slide for the kids and more! Leftover candle wax – How many of us have jar candles that don’t burn all the way down? Instead of tossing the entire thing, chip or melt the wax out of the bottom with a hairdryer, pour it into another container and add a wick. Easy peasy DIY candle for pennies! Cheesewax – I love those little Babybel cheese snacks and tend to pick up a few packages whenever I’m at Sam’s Club. Did you know that the wax they are wrapped in is reusable? If you make your own cheese (or want to try it), save them! Cheese wax runs around $10.00/lb so you could potentially save big! Just melt the wax, run it through a filter (think coffee filter!) and brush on a couple of coats using a cheese wax brush. You could also use them to preserve hard cheese that you buy at the store! Old Cookie Sheets – We’ve all got those old cookie sheets that we really don’t use anymore. They can be reused to create awesome products! Cover them with fabric or scrapbook paper! Add a few DIY magnets and you’ve got a DIY message board! That’s just one of the ways you can reuse them because they’re so versatile. Mismatched flat sheets – Mismatched flat sheets can be so useful in your home. If they’re in good shape you could make homemade curtains with them or use them for another craft like a homemade baby blanket or as quilt backing. If they’re older and ragged, cut them up for cleaning rags and other harsher uses. There are a ton of new ways to use old sheets so just get creative before tossing them! Shoelaces – Shoelaces can be reused in a lot of way including kids crafts. Outdoors they’re nice to have for tying back tent entrances and other quick fixes. Old Makeup Brushes – Save on kids art supplies by rinsing and cleaning your old makeup brushes really well and letting the kids use them as paintbrushes. Other Vegetable Scraps – How many times have you diced an onion and only used part of it? Do you toss it in the fridge and forget about it? Instead of tossing them or letting them go bad, throw them into a pot with some broth and meat and make a great vegetable or minestrone soup. They’re also great for making homemade stocks and broths too! Making sure that you are using food scraps in every possible way is a great way toward having a no waste kitchen! Egg Cartons – Egg cartons can be used for crafts or other uses. In fact, if you buy locally gathered eggs, a lot of sellers will give you a discount for bringing cartons. If you’re the type who prepares for an emergency, use egg cartons with a little bit of melted wax to create your own emergency candles! Sponges – This one isn’t so much something you can reuse, but more something that you can reuse longer. A lot of us toss our sponges after just a few uses. Germs, right? While they do get yucky and full of germs, you can solve that issue by simply popping them in the dishwasher or microwave for a few minutes. Buying less because you’re using something longer is always a good thing. Milk jugs – Empty milk jugs are high on my list of things to reuse too. Milk jugs can be used in place of pitchers for drinks, but what I really like using them is as seed starting pots when I start garden seeds. Cut the jug in half, add some drain holes for water and you’ve got a nifty little plant starter that can be re-used over and over before you need to replace it. If that isn’t up your alley, there are quite a few different ways to reuse empty milk jugs. You just need to think outside of the box! There you have it! 52 things to reuse to save money! If these 52 weren’t enough for you, be sure to head over HERE and check out this list of 36 things to reuse to save money. *This post was originally published November 2015. Updated October 2018. I like to reuse short glass jars that food came in for making new candles from left over wax. Can you explain the part about making emergency candles from egg cartons and wax? I am picturing just pouring wax in the holes and adding wicks but how would it burn safely? Wouldn’t the Styrofoam egg cartons melt and the cardboard cartons burn? I must be imagining this wrong, I guess. Bethenia, they’re more like emergency candles/fire starters. You would burn it only in an emergency where you had no other power source and in a safe environment. The usual way to do it is a cardboard carton with dryer lint for a wick. Fill the holes with lint then pour candle wax over leaving enough of the lint sticking up to use as a starter on the wick. The wax keeps it from burning off quickly (the cardboard will but not the lint). They’re small enough that they fit well into a medium/large candle. I use buttons to keep my earrings paired up. That way when I’m packing to go to my parents for the weekend, I can just grab the earrings I want and not lose them in my travel jewelry box. That’s an awesome idea Marilyn! Thanks for the tip! Child of a Depression era Mom, I have been a frugal bugle since forever. Since California had it’s first deadly drought in the 70’s, I have been doing the following to save water”: Keep a bucket in your shower to collect the water that runs as you are heating it up. Then use that water for your houseplants, outdoor potted plants, and quick cleanups. In the kitchen, hkeep a couple of large jars or pitchers handy to do the same thing while running water to heat for dishes. I also fill a big mixing bowl or whatever I have to wash with soapy water , wash all of the hand washables, then rinse everything together with the spray on my sink. Saves tons of water and no you have water for the dog or cat’s dish, making coffee, ice cubes, and anything else you can use clean cold water for. Other tip: I save the little tiny ziplock bags that hold the extra buttons for the clothes you buy, and use them to pair up my post earrings. They don’t get mixed up that way. I compost all my veggies and coffee grounds, feed other scraps to my chickens, and grown a big garden every summer. We have several fruit trees, and when I have eaten my fill, post the rest on Freecycle.org (you should use this site for sure) and people come an pick the rest of the fruit, often gifting me with jars of jam they have made form the apricots and plums!! Cindy, the water that you’re collecting in your shower is called GreyWater and I talk about that HERE. It’s a great way to save money! Cindy, Reusing bubble rap for winter window insulation is terrific and works well. Then mist the window lightly with plain water, then press the bubble wrap on to the window pane . Done! Use small or medium size clear B-wrap as It lets the light in, keeps the cold out & saves money. Hey Stacy, when my husband’s underwear loses its elastic, I cut the bands off and use them to stake tomatoes. Then, use the rest for rags. Love all your tips! Tnx for these!